It is essential to spread your wings and fly, step out of your comfort zone, embrace the unknown, and live life. 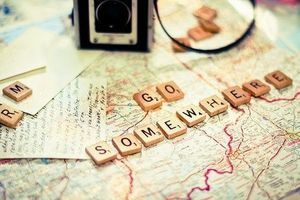 You should travel in your early 20s for more or less reasons that all will shape your perspective on life, make you re-evaluate where you came from, and shed some light on the direction you are headed. Traveling makes the world you created in your head much smaller than the world that is actually outside of our psyche that we haven't explored yet. Seeing the world as it is, so much bigger than ourselves makes us realize that sometimes sweating the small stuff is not worth it. Exploring, trying something new, and leaving our comfort zone only breathes new room for growth and metamorphosis of the person we were always meant to find within ourselves. It definitely is an eye-opening experience, which makes us realize in some parts of the world what we take for granted on a day to day basis that we have at our fingertips. It makes us appreciate who we are, where we came from, and appreciate our home, clothes on our back, and food on the table. It make us realize the necessities in life we often take for granted. You become more open in exchanging dialogue between strangers that you 'thought' was often uncomfortable. You can relate to just about any culture and aren't culture struck when meeting different people across the globe when you return home and are encompassed by your little nuggets of people and familiar faces. Because everyone has a story. Traveling changes you. It becomes your 'normal' habit to communicate and become a better listener. Absorbing all the new facts, the exciting stories that people have to offer, in a sense, make you a better human being. You become selfless and caring by investing in what others have to say, which further creates a better you - and brings out the life-long learner in you. Although it might sound scary at first, to take that leap of fate and enter the unknown, often it is the most rewarding and gratifying experience we can all hope for and absorb. If you can transform from your way of living and live the life others live, beyond your religion, creed, nation, etc., you have attained the life skills of adaptability. Often times adapting to our environment is far more essential in attaining survivor skills wherever we go. The skill sets attained will help you face any adversity coming your way down the road and let you master any new obstacles in life through doors that haven't been opened yet. You create new hobbies, find new talents, explore new places. Traveling equips you with life skills that no book nor mentor can teach you. You discover new things about yourself as a person of the universe you never knew existed or was brought to light until you discover new roads, new people, and new ways of life that you had no idea existed. Moreover, you take life experiences with you that you can pass on to people before and after you, and have more stories to share about your traveling experiences. Traveling not only makes you a well rounded person but a world class citizen such that you may not only relate to but empathize with different vast amounts of tribes and cultures on a day to day basis that others are too narrow minded to even see. You have mastered a sense of open mindedness and vision that others cannot grasp. For that you are a better citizen and it is your purpose to share your stories to the next traveler and embrace traveling in your early 20s to help shape the person you want to become and the people that become before and after you. 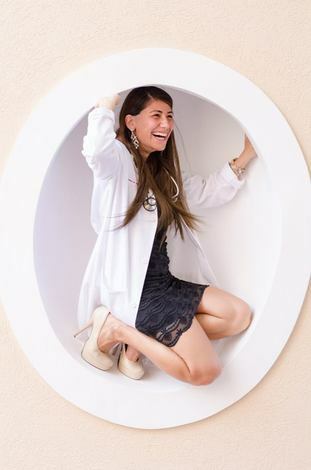 LA native Angela Mujukian is a Medical Student at St. George's University, Elite Daily Campus Ambassador, and Jedi. When she's not being a Wizard on the wards, or doing research at Cedars-Sinai, she is co-authoring the best-selling book series and movement, 20 Beautiful Women: Volume 3 Edition. Graduate of UCLA, earning a B.A in English, Angela is trained by the LA Times as a News Reporter/Viewpoint Columnist for Daily Bruin. Tackling her dreams one patient or blog post at a time to make the world a better place. Angela's gift of tenacity, strong-will, and a refuse-to-lose attitude distinguishes her as an unstoppable force.